The Supreme Court has agreed to consider on Tuesday the ambit of power of the Election Commission to take action against the political parties who drag religion and caste in political campaigns. 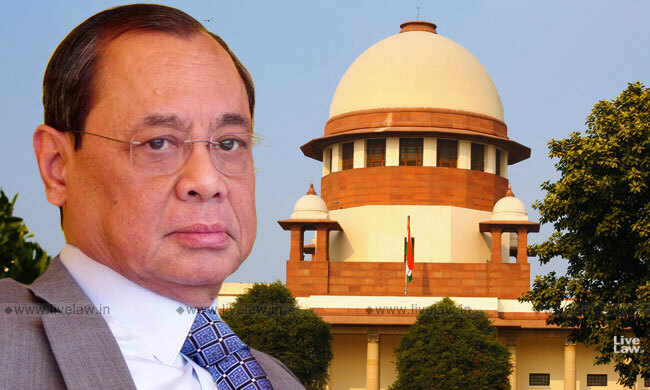 In the light of instances where BSP Chief Mayavati and UP CM Yogi Adityanath have appealed for votes on the basis of religion, Chief Justice Ranjan Gogoi inquired from the Commission about the course of action adopted to tackle these violations of the Model Code of Conduct. "The power of the ECI in this behalf is very limited...we can issue notice and seek reply but we can't de-recognise a party or disqualify a candidate...Mayavati was required to file her explanation by April 12 but it was not done...we can only issue advisories and in case of a repeat offence, register a complaint...", the court was informed. When the Chief Justice asked Senior Advocate Sanjay Hegde, who was appearing for the petitioner, if the ECI indeed could do only so much in the face of communal pleas for votes, Mr. Hegde asserted that the powers of the Commission under Article 324 are quite extensive. Accordingly, Chief Justice Gogoi directed a senior representative of the Commission to be present in court on Tuesday to assist it in examining its power. Harpreet Mansukhani, an NRI, prays in her writ petition, to constitute a committee under the Chairmanship of retired Supreme court Judge to have a 'close watch on entire election process' and to 'check the loyality of election commission'. According to her, section 123 of Representation of the People Act has not sufficient potential to ensure corruption free election. She further points out that the spokespersons/Media representatives of political parties/ other politicians those are not contesting the elections use hate speeches on TV channels and social media platform based on Caste or religion line and they get easy escape from all the actions since they usually not contest in election. The petitioner urges strict actions against Media Houses those use Caste or Religious lines for their debate Shows. Communal speeches or caste remark would be allowed any sway in election campaigns, they would vitiate the secular atmosphere of democratic life, she says.